Britain has a growing problem with landlords who fail to provide safe and decent homes for their tenants, creating hardship among people who rent their homes privately, according to a new report from housing and homelessness charity Shelter. The report, entitled Safe and Decent Homes: Solutions for a better private rented sector, proposes a series of legal and financial reforms which, they believe, could be used to improve the situation, but they will require a real commitment from politicians and local authorities in order to work. The report provides some alarming statistics about the growth of the private rented sector in Britain. There are now almost 9 million private renters, and for the first time since the 1960s there are now more private renters than social housing tenants. The age profile of private tenants is getting older as “Generation Rent” remains unable to get on the property ladder: half of all private tenants are now over 35 and almost a third of them are families with children. 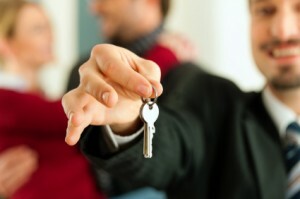 A third of all private tenants say that they expect to be renting for the rest of their lives. The number of people living in the sector is troubling in the context of other survey findings which show that just 6% of private tenants say it is their preferred form of housing, and data from the English Housing Survey which shows that 35% of properties in the private rented sector are rated “non-decent”: nearly a fifth were judged to contain a hazard posing a serious danger to the health and safety of renters (higher proportions than in any other form of tenure). Shelter’s research showed that over 60% of renters have experienced at least one of the following problems in their home over the past 12 months: damp, mould, leaking roofs or windows, electrical hazards, animal infestations and gas leaks. One in ten private renters claim that their health has been affected by problems with their property which their landlord has not dealt with. The report argues that poor conditions are a problem in the private rented sector for two reasons. First, landlords have few incentives to improve the conditions of the properties they rent out when Britain’s housing market is so overheated; many are able to find tenants who are willing to pay for a home almost regardless of its condition, so the consumer pressure which helps to regulate standards in other industries is largely absent. Compounding this, many tenants are worried about becoming the victims of a retaliatory eviction if they complain to their landlord or report him (or her) to the authorities, so they stay silent. Secondly, local authorities are usually unable to intervene on behalf of tenants to try and ensure their homes are of a decent standard because, even in the rare cases where tenants do come forward to make complaints, environmental health teams and housing inspection units often lack the necessary resources to enforce their legal powers. Local authorities have been hit by funding cuts of over £20 billion during the current parliament, and many have had to respond by reducing their housing teams to a bare minimum (Birmingham City Council apparently now has only one employee with responsibility for enforcing standards in the private rental sector, for a city of over a million people). Adding to this problem is the fact that most councils hold very little data on the private rental properties in their area. There is usually no single data source that shows which properties are being privately rented and who owns them, which means most local authorities have little to go on if they want to enforce legal standards. The Shelter report proposes a range of changes to try to enforce current housing regulations against landlords who appear to be abusing them. These include various tweaks which aim to make it easier for local authorities to prosecute landlords, and suggested methods of making the relationship between landlords and tenants – including the eviction process – more professional and official. Shelter estimates that nearly a quarter of landlords are so-called “accidental landlords” – amateurs who end up renting out a property because they inherit it or find they can’t sell it – and they are often unaware of the legal responsibilities which they have towards their tenants. So, creating a more professional framework and requiring landlords to be trained and educated about legal responsibilities would be an important step. The biggest policy measure the report recommends is the creation of a national register of private landlords. It envisions a future in which all private landlords would in effect need to have a licence in order to operate, that could be revoked if they broke the rules. In order to be effective, such a scheme would require the creation of a vast database showing all the registered landlords and where their properties are located, with regular enforcement actions to ensure that landlords are not operating without a licence. This would carry a high cost, but Shelter argues that this could be met through reducing the tax breaks that are currently given to landlords, specifically reducing the 10% wear and tear allowance to 5%. Previous research by IF has shown that landlords receive up to £5 billion a year worth of tax subsidies, which certainly seems questionable given the general unpopularity of the sector and the poor standards of many rented dwellings. In addition to being expensive, such a scheme would need to be carefully designed and enforced to ensure that it didn’t just end up making things more difficult for the good landlords who would register themselves while pushing the unscrupulous ones further into the shadows. However, whether Shelter’s ideas find traction or not, at least they offer a blueprint for the steps which urgently need to be taken to improve the quality of housing for Britain’s private renters.